BMW's self-driving motorcycle concept independently drives off, recognizes turns and comes to a halt by itself without any rider input. Seeing a motorcycle without a rider pass by would definitely feel weird, would it not? 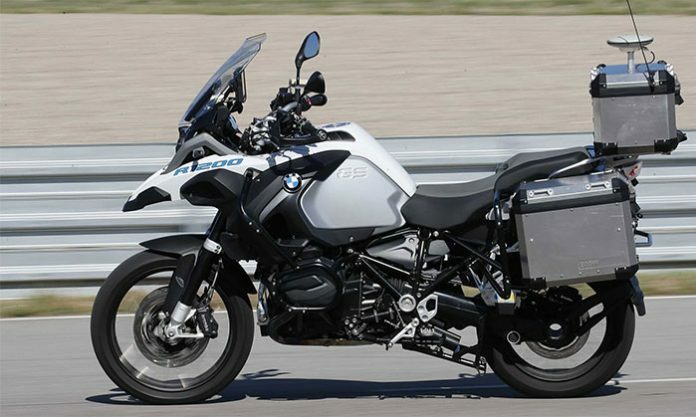 That’s exactly what BMW unveiled at the BMW Motorrad Techday 2018 – a self-driving concept, showing a riderless R 1200 GS doing laps around a track. Developed by graduate engineer Stefan Hans and his team, the vehicle independently drives off, accelerates, circles a winding test track and independently slows down to a stop. On top of that, the integrated side stand is deployed automatically when the motorcycle comes to a halt. The above statement makes it clear that the system still wants the rider to be in control of the bike, while the safety system will merely act as an aid. If a critical situation does arise, the system will inform, warn the rider, and if need be, intervene directly. To conclude, BMW Motorrad has demonstrated how the rapid pace of digitization will change the future of motorcycling. BMW Motorrad is taking two-wheeler needs into consideration for tomorrow’s world of transport and preparing for it technically.